STAGE PRESENCE: Winkler accepting his plaque citation from Custos Marigold Harding at the IOJ-hosted ceremony. Though he now walks with a limp and his speech is slightly slurred, novelist Anthony Winkler's mind is as razor-sharp as ever. The celebrated 73-year-old author of such Jamaican classics as The Painted Canoe, The Lunatic, and 2013's award-winning and genre-bending historical narrative God Carlos was among the honorees bestowed with a gold Musgrave medal this past Wednesday at the Institute of Jamaica, where the master storyteller spoke with TALLAWAH about making his contribution to the island's literary culture, his (very) eventful Cornwall College years, and how he really feels about his legacy and growing older. TALLAWAH: Marlon James says you are our Mark Twain. How do you feel about that kind of comparison? Anthony Winkler: That's his opinion, but Mark Twain was a very good writer, so to be compared to him is a big honour. TALLAWAH: In your experience, does storytelling get easier you grow older? A.W. : For me, as you get older, you get less able to work as hard as you used to. That's about it. TALLAWAH: Do you look back on your Jamaican childhood with fondness. I'm referring especially to your Cornwall College days. A.W. : My Cornwall College days were very difficult. I was expelled over refusing to take caning. Cornwall College had a culture of bullying and they had imitated the Englishman to an excess. The headmaster said, 'Winkler, I'm going to have to cane you' and I said, 'Well, we're going to have to fight'. And he said, 'Well, leave the college then.' So I was expelled. 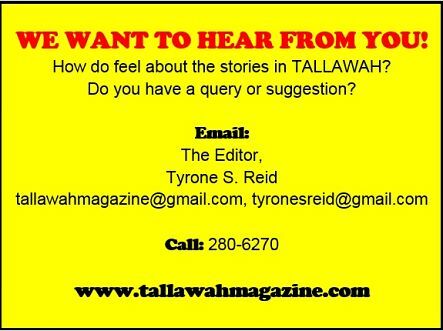 TALLAWAH: Countless esteemed Jamaican authors look to you as an influence. Who rank among the Jamaican writers you've always saluted? A.W. : We have produced some very good writers, and I admire some of them like Vic Reid. He's not very well-known nowadays, but he wrote The Leopard, which I think is a masterpiece. TALLAWAH: What are you reading now? A.W. : I'm reading up on the 16th century. I'm writing a book about God and about meeting God. TALLAWAH: So how's that going? A.W. : I can't tell you till I'm finished. (Laughs). TALLAWAH: Among all your novels do you have a favourite? A.W. : The Painted Canoe. My first book; my baby. I worked hard on it. I wrote it around my very tight schedule at Moneague Teachers' College. I would come home in the night after my evening classes, and I'd pick up the typewriter and begin to write. And this went on for two years. Some days I was so tired I could hardly get into the room. TALLAWAH: So what do you want your legacy to be ultimately?